"A TROUBLED TOWN" DRAMA SERIES SEASON 2 NOW CASTING!!!!! 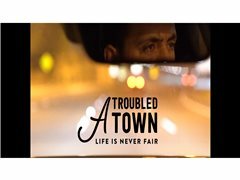 Sonia Sarkis and Billy El Kaddour Creators of "A Troubled Town" are now casting for 2019. ATT is now going bigger and better requiring over 130 talents WOW!!! Please keep an eye on other Ads to come. ATT is on the hunt for a Bride - Groom - Maid of Honour and Grooms man for a wedding scene. Its a ganster wedding. You all will be at the alter getting married infront of your guests. Bride gets shot outside church. Bride to be in a gown and men in suits. All props provided on set. We shall be filming all over Sydney. Filming dates are as follows for ATT Season 2 as a whole - you will be only required to come in on 1 of those dates. Exact date of shoot shall be advised weeks prior to shooting. All filming dates are a Sunday. Role is unpaid but all credits on IMDB, series and all social media platforms shall be honoured. Food, drinks and nibbles plus a great experience shall be offered on set.